Park City • What sets apart the most luxurious hotels from the average destination property? Is it the distinctive view or location? The fresh flowers in the lobby? The handmade chocolates left for guests each night? Or the sumptuous robes, slippers and towels in the bathroom? The experts with Forbes Travel Guide says it is all of the above and more. And only one Utah hotel fits that description: Park City’s Stein Eriksen Lodge. The 10-acre property at Deer Valley Resort recently was selected as one of the 58 most luxurious hotels in the world by the independent rating company, best known for its “Five-Star” rating system for hotels, restaurants and spas. (Trent Nelson | The Salt Lake Tribune) Robes in a room at the Stein Eriksen Lodge in Park City on Thursday Dec. 20, 2018. The Forbes Travel Guide recently named Utah’s Stein Eriksen Lodge as one of the most Luxurious Hotels in the World. (Trent Nelson | The Salt Lake Tribune) Chocolates at the Stein Eriksen Lodge in Park City on Thursday Dec. 20, 2018. The Forbes Travel Guide recently named Utah’s Stein Eriksen Lodge as one of the most Luxurious Hotels in the World. (Trent Nelson | The Salt Lake Tribune) Turndown service at the Stein Eriksen Lodge in Park City on Thursday Dec. 20, 2018. The Forbes Travel Guide recently named Utah’s Stein Eriksen Lodge as one of the most Luxurious Hotels in the World. 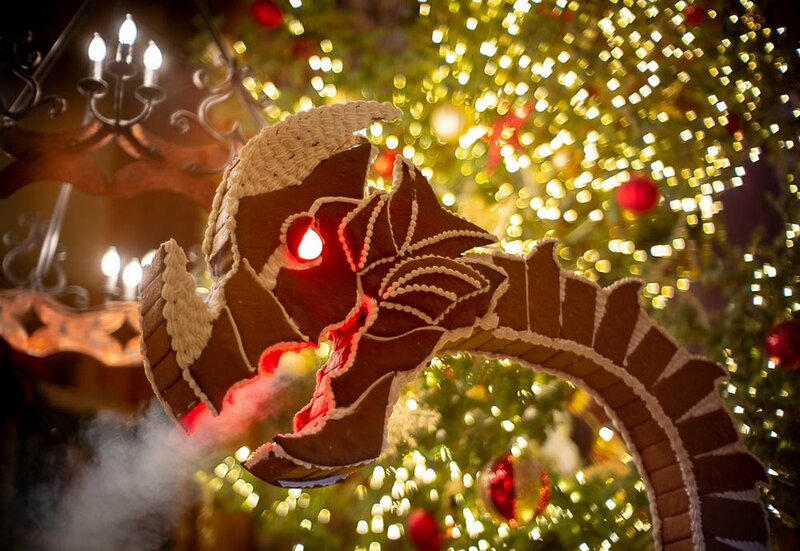 (Trent Nelson | The Salt Lake Tribune) The dragon head of a large gingerbread Viking ship at the Stein Eriksen Lodge in Park City on Thursday Dec. 20, 2018. The Forbes Travel Guide recently named Utah’s Stein Eriksen Lodge as one of the most Luxurious Hotels in the World. (Trent Nelson | The Salt Lake Tribune) A room at the Stein Eriksen Lodge in Park City on Thursday Dec. 20, 2018. The Forbes Travel Guide recently named Utah’s Stein Eriksen Lodge as one of the most Luxurious Hotels in the World. (Trent Nelson | The Salt Lake Tribune) Flowers in the lobby of the Stein Eriksen Lodge in Park City on Thursday Dec. 20, 2018. The Forbes Travel Guide recently named Utah’s Stein Eriksen Lodge as one of the most Luxurious Hotels in the World. (Trent Nelson | The Salt Lake Tribune) A room at the Stein Eriksen Lodge in Park City on Thursday Dec. 20, 2018. The Forbes Travel Guide recently named Utah’s Stein Eriksen Lodge as one of the most Luxurious Hotels in the World. (Trent Nelson | The Salt Lake Tribune) The Stein Eriksen Lodge in Park City on Thursday Dec. 20, 2018. The Forbes Travel Guide recently named Utah’s Stein Eriksen Lodge as one of the most Luxurious Hotels in the World. (Trent Nelson | The Salt Lake Tribune) A pool at the Stein Eriksen Lodge in Park City on Thursday Dec. 20, 2018. The Forbes Travel Guide recently named Utah’s Stein Eriksen Lodge as one of the most Luxurious Hotels in the World. (Trent Nelson | The Salt Lake Tribune) A pool at the Stein Eriksen Lodge in Park City on Thursday Dec. 20, 2018. The Forbes Travel Guide recently named Utah’s Stein Eriksen Lodge as one of the most Luxurious Hotels in the World. (Trent Nelson | The Salt Lake Tribune) Looking out at the Sterling Express lift at Stein Eriksen Lodge in Park City on Thursday Dec. 20, 2018. The Forbes Travel Guide recently named Utah’s Stein Eriksen Lodge as one of the most Luxurious Hotels in the World. (Trent Nelson | The Salt Lake Tribune) Part of the spa at the Stein Eriksen Lodge in Park City on Thursday Dec. 20, 2018. The Forbes Travel Guide recently named Utah’s Stein Eriksen Lodge as one of the most Luxurious Hotels in the World. (Trent Nelson | The Salt Lake Tribune) The Champions Club at the Stein Eriksen Lodge in Park City on Thursday Dec. 20, 2018. The Forbes Travel Guide recently named Utah’s Stein Eriksen Lodge as one of the most Luxurious Hotels in the World. (Trent Nelson | The Salt Lake Tribune) The Freestyle Theater at the Stein Eriksen Lodge in Park City on Thursday Dec. 20, 2018. The Forbes Travel Guide recently named Utah’s Stein Eriksen Lodge as one of the most Luxurious Hotels in the World. This marks the first time Forbes has created this particular “best of” list for luxury hotels from a tally of 1,500, said Amanda Frasier, the company’s executive vice president for standards and ratings. The hotels that earned the honors are in 17 countries, including 25 in the United States. Guy Morris, Stein Eriksen’s vice president of sales and marketing, has never been told the exact elements that put the lodge in the top tier, but he has an idea. Named for after Norwegian Olympic gold medal skier Stein Eriksen, who died in 2015 in Park City, the lodge opened midmountain at Deer Valley in December 1982. The individual units are owned by private buyers but rented to guests through a management corporation. 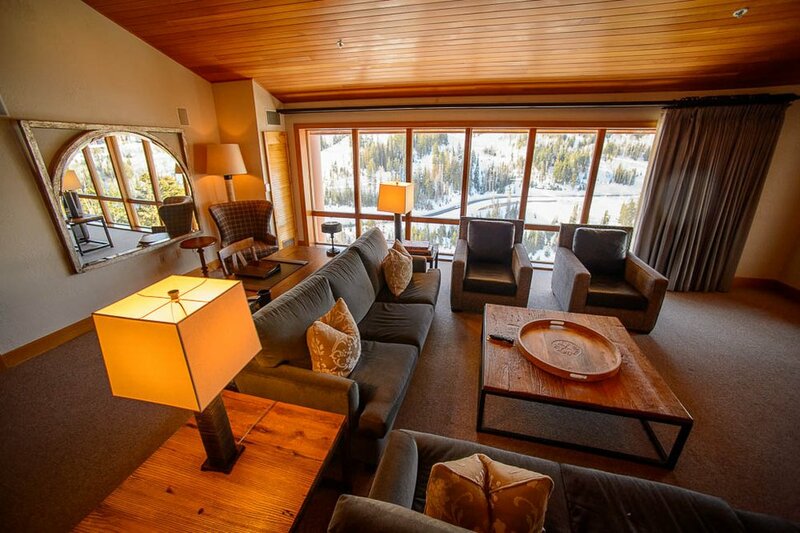 During the ski season, one of the least-expensive rooms at the winter destination will cost $850 to $900 a night, while a grand suite will run about $5,000. During the summer, rates drop significantly, with locals able to snag a room for $150 to $250 a night. What luxuries do you get for that price? Comfort is king • Stein’s rooms are exceptionally comfortable, of course, with top-of-the-line bed linens and pillows. But Forbes inspectors especially like the luxurious bath amenities, namely the high-quality towels, robes and slippers, which pamper the feet after a day on the slopes. It’s not uncommon for guests to wear them around the hotel and into the more casual dining areas, explained Jessica Turner, the lodge’s public relations manager. Guest care • During the winter, more than 670 employees work at the property to ensure that guests are handled with care. “We take the work out of taking a vacation,” Turner said. “We know what guests need before they ask for it.” Take, for example, the lodge’s ski valet team, a group of employees who will help you rent skis, put on your ski boots, wrap your ankle if the fit isn’t comfortable, fill your water bottle and share the best ski runs for your ability level. When you are done skiing for the day, they also will help you remove your skis and boots and store them in lockers with built-in glove and boot dryers, so you’re ready to go out again tomorrow. Gourmet food and beverages • Food and wine play major roles in the luxury rating, and Stein’s culinary team checks all the right boxes, said Frasier, from the gourmet menu at the Glitretind — the lodge’s premier restaurant — to the housemade chocolates and granola gifted to guests to the wine cellar, which holds 15,000 bottles worth more than $1 million, making it one of the one of the largest and most varied collections in the state. There’s plenty of whimsy, too, like the giant gingerbread creations at Christmas. This year, it is a Viking ship with a 13-foot candy cane mast, an 8-foot dragon figure and 9 feet of gingerbread stretching from bow to stern on each side. It sits in the lobby next to a 32-foot decorated Christmas tree. In addition to being Utah’s only Forbes Five-Star hotel, Stein Eriksen has won numerous other awards. 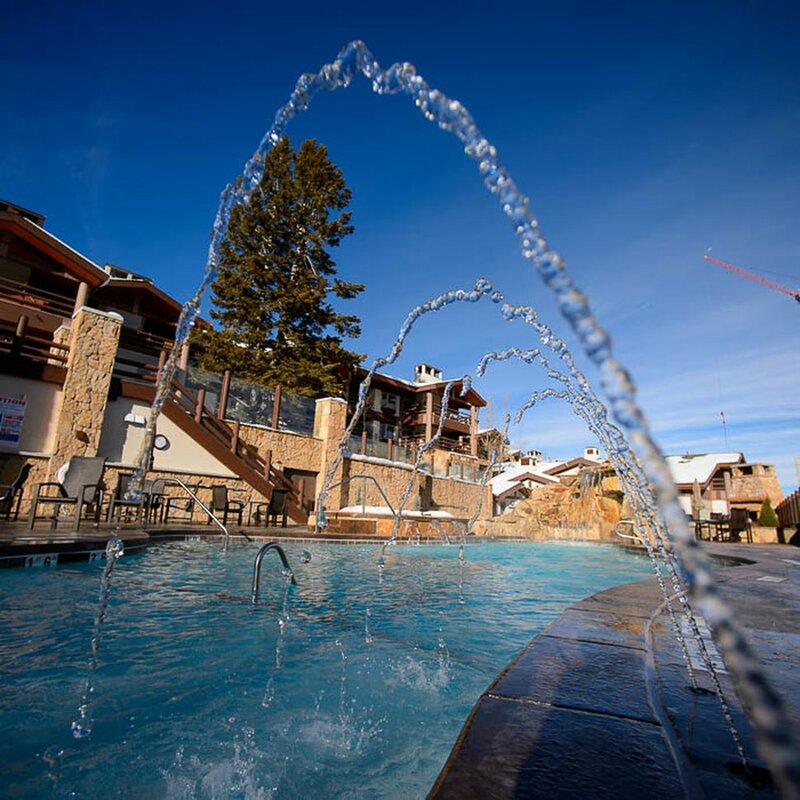 A few weeks ago, it was named the 2018 “United States’ Best Ski Hotel” by World Ski Awards, a distinction it also earned in 2014, 2015 and 2016. • A 3,500-square-foot entertainment center with a variety of games from old-school Skee-Ball and pinball machines to high-tech video games. It includes a causal restaurant that serves the popular Stein hamburger, pizza, shakes and other upscale pub fare. Staffers say sometimes there are more adults in the entertainment center than kids. * A family-friendly pool — heated to 78 degrees in the winter — now is just outside the entertainment center and has spray features to entertain youngsters. • A 56-seat theater has been added, showing two movies nightly. Popcorn and drinks are on the house. • Expanded deck areas and a new plaza with two fire pits and heated walkways, where guests can make their own s’mores. • The new ski locker room is larger and boasts wider lockers to accommodate today’s shorter, fatter skis and helmets. Each locker also has its own boot and glove dryer and cellphone charging station. • Ski rental shop, ticket services and new ski lockers are now in one place, making it easier and faster to hit Deer Valley’s slopes. • Just steps from the slopes is a new coffee shop with specialty coffee drinks and grab-and-go options. • The wine cellar has been expanded to include a private 15-person tasting room. For the seventh year in a row, Zane Holmquist, the corporate chef at Stein Eriksen Lodge in Park City, will appear on NBC’s “Today” show on Christmas. During the Dec. 25 show, he will share several Stein Eriksen Lodge recipes, including a classic maple nog, the popular reindeer tracks fudge and an everything bagel popcorn.